Keithley Instruments announced the addition of an economical triple-channel power supply to the company’s Series 2200 line of programmable DC power supplies. The Model 2231A-30-3 195W Triple-Channel DC Power Supply combines the advantage of greater output accuracy than competitive power supplies, with features that enhance its ease of use in circuit design and university student labs for device testing applications that require multiple power sources. Like the rest of the Series 2200 line, the Model 2231A-30-3 complements Keithley’s broad source and measurement instrumentation offering. More information on the Model 2231A-30-3 is available on the company’s website at www.keithley.com/data?asset=58151. The Model 2231A-30-3’s output levels address a wide range of sourcing requirements for characterizing components, circuits, modules, and complete devices. Two of the output channels are typically used for powering analog circuits, with each capable of outputting up to 30V @ 3A; the third channel, typically used for powering digital circuits, can output up to 5V @ 3A. (In contrast, competitive three-channel supply’s analog outputs are limited to just ±20V@0.5A.) These maximum output levels, combined with voltage setting and reading resolution of 10mV and current setting and reading resolution of 1mA, allow generating a wider range of output power and reading a wider range of load currents. With basic voltage setting accuracy and voltage readback accuracy of 0.06% for each output channel, Model 2231A-30-3 users can be confident the exact voltage they program for any channel is the level applied at the output terminals. 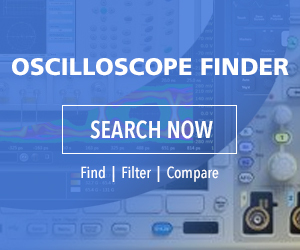 It also offers 0.2% basic current setting and readback accuracy and less than 5mVp-p ripple and noise to ensure high quality load current measurements. Each output channel is completely isolated, so the Model 2231A-30-3 can power three isolated circuits with different reference points, eliminating the need for multiple supplies. Many competitive multi-channel supplies do not offer isolated outputs on the high voltage channels and cannot properly power isolated circuits. In addition, because the Model 2231A-30-3’s outputs are isolated, one output can be turned effectively into a negative source by connecting its high terminal to the common reference point of a bipolar circuit. The low terminal of a second output can be connected to the same common reference point. The result is a positive output and a negative output. If the two 30V channels are used in this configuration, both outputs can be changed at the same time by using the supply’s tracking function. That allows varying both channels at the same time while keeping the magnitude of their outputs the same. Each channel can also be turned on or off independently, so the Model 2231A-30-3 can be used to power up a circuit that requires turning on multiple voltage levels in a specified time sequence. It can also power up both the analog circuitry and the digital circuitry of a printed circuit board or a complete device, all with the same instrument. A programmable timer allows setting up a test to run unattended, turning off the outputs after a specified interval. For applications that require supplying more than 30V or 3A, the power supply’s 30V outputs can be combined by wiring them in series to produce a 60V output or wiring them in parallel to produce a 6A output. To make this easy for the user, series and parallel modes manage control of the two outputs and display the total voltage and current outputs for the combined channels. An optional adapter provides the flexibility to control the supply manually or remotely. The Model 2231A-001 USB Adapter allows controlling the supply via a PC’s USB interface, then transferring readings from the outputs to the PC so they can be combined with other test data to allow a more thorough analysis of DUT performance. Frequently used instrument settings can be saved to one of 30 internal memory locations to save time when conducting repetitive tests. A rotary knob with adjustable step size simplifies studying a DUT’s response to voltage or current changes. A numeric keypad offers an alternative method of entering values precisely. Voltage and current outputs for all channels are shown simultaneously on the bright vacuum fluorescent display, unlike competitive units, which can display only one channel at a time. The US list prices of the Model 2231A-30-3 and Model 2231A-001 are as follows, with immediate availability from Keithley sales partners.